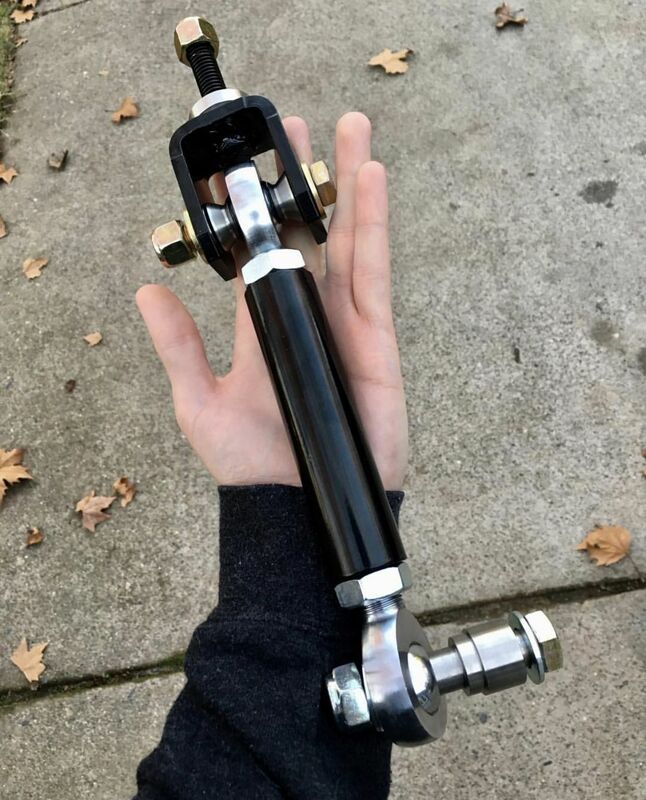 DOR's end links are the biggest and strongest Ram end links ever made. They might even be the biggest end links in the world, period. They are 1.25" OD DOM tube that is powdercoated black, with 3/4" shank chromoly heim joints and hex tube adapters. 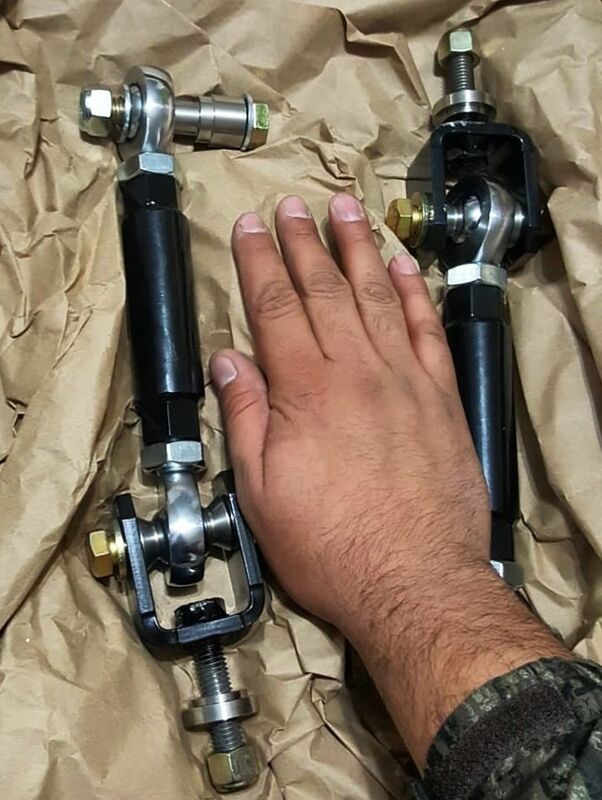 These are bigger than a lot of control arms out there! We use 1/4" cold rolled steel pressed brackets and custom stainless 303 hardware with Grade 8 SAE and Class 10.9 metric hardware to make it all work. These are a simple bolt-in install without any drilling involved. These are much, much stronger than the cheap factory end links, and will last exponentially longer. 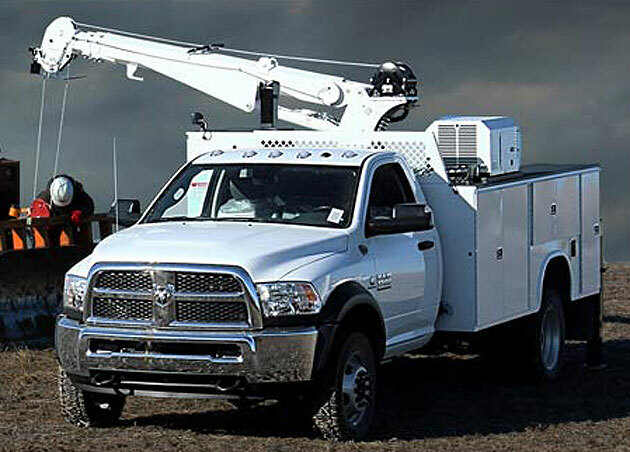 They are a perfect addition to your Ram 4500/5500 work truck. Get rid of the tiny, cheap, made-in-China factory end links that are prone to breaking. You can put our American-made end links on and never have to worry about breaking them, and with the huge 3/4" heim joints at both ends, they will last for many years. We've never had anybody wear out one of these end link heims yet, so only time will tell, but so far we have used them for 2 years without a single worn out joint. When a heim eventually does wear out, replacing it is as simple as threading the worn joint out and threading a new joint in. It can be done in the field with nothing more than a crescent wrench and about 10 minutes of your time. 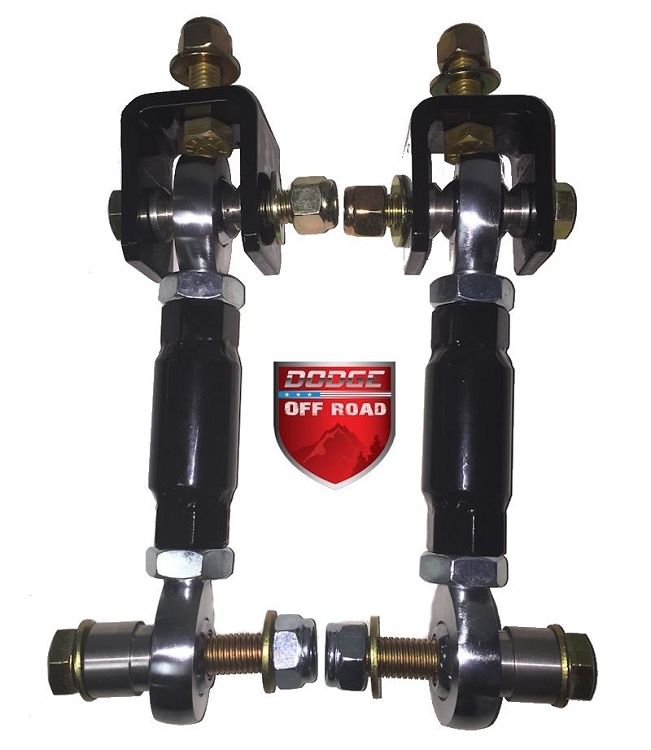 These fit all 2008 - 2018 Ram 4500/5500 4x4 trucks, stock height and up. These also fit the 2008-2018 Ram 3500 Cab and Chassis 4x4 trucks, stock height and up.